North Delta’s Carol Peters discovers her passion on the road, in the water and on the bicycle. A triathlete, she involves herself in her competitive events for the pure joy of it. She states that she does not think of it as training. This amazing approach paid huge dividends last October in Hawaii at the Ford Ironman World Championship. She bettered the world record for her class (women between the age of 60 and 64) by 17 minutes. This staggering triathlon begins with a 2.4 mile swim, followed by a 112 mile bike ride and finishes with a 26.2 mile marathon. Although she has participated in ten Ironman events as well as finishing first before, this flawless performance was definitely special. Now that Carol has captured the world title, the 60 year-old is even more motivated to pursue further challenges in 2011. She has completed over 30 marathons, having entered her first running event in the early 1980s followed by her first marathon shortly after. Carol has won her age group at the Vancouver International Marathon twice and placed in the top three several times. Furthermore, she has won her age group at the Amica Seattle Marathon twice. With her love of “training”, she has been Canadian Ironman Champion in her age group four times (2006, 2007, 2008 and 2010). Carol has set course records at the Penticton course for female 50-54, female 55-59 as well as her current record for female 60-64. This recent appearance in Hawaii at the World Ironman Championships was her third. In 2002, she placed third in the female 50-54 category. In 2007, she placed second in the 55-59 category. Of course, in 2010, she set a new course record in her female age class. In addition to the Ironman distance, Carol Peters has competed in numerous half iron and shorter triathlons. In the Victoria Half Iron Triathlon, she currently holds the course records in three female age categories (50-54, 55-59 and 60-64). With respect to personal bests, her results in Hawaii last October are a given. Her finish at the Historic Half Marathon in Langley in February, 2010 (1:37:28) was approximately 3 minutes better than her mark in 1995 (1:40). The 2010 Canadian Championship race featured 2,780 entrants from all over the world. In her age category, Carol battled 8 competitors from the USA and Canada. Only the winner qualifies for the World Championship in Hawaii. At the World Championship, there were 1,800 entrants from all over the world. Carol faced 23 competitors from the USA, Australia, Canada, New Zealand, Great Britain, Japan and Chile. 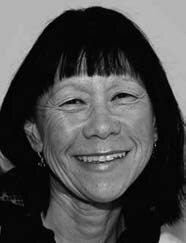 On February 24, 2011 Carol was duly honoured, being chosen by Sport BC’s 25 member Selection Committee to receive the 2010 BC Master Athlete of the Year award. She is continuing her training and program regimen in 2011. She again won her age category and set a new course record at the Historic Half Marathon in Fort Langley this past February. Carol Peters continues to be a major force with the right attitude.